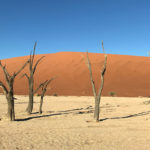 You would expect that we’ve seen it all after visiting about 40 game parks in Africa this year. Think again since we still had to visit the parks in Zimbabwe. 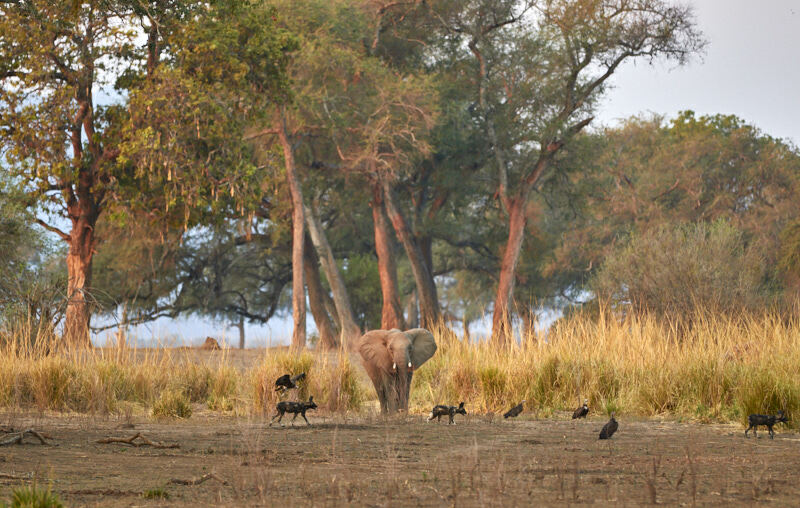 Mana Pools National Park was one of the parks really on top of our ‘parks bucket list’. 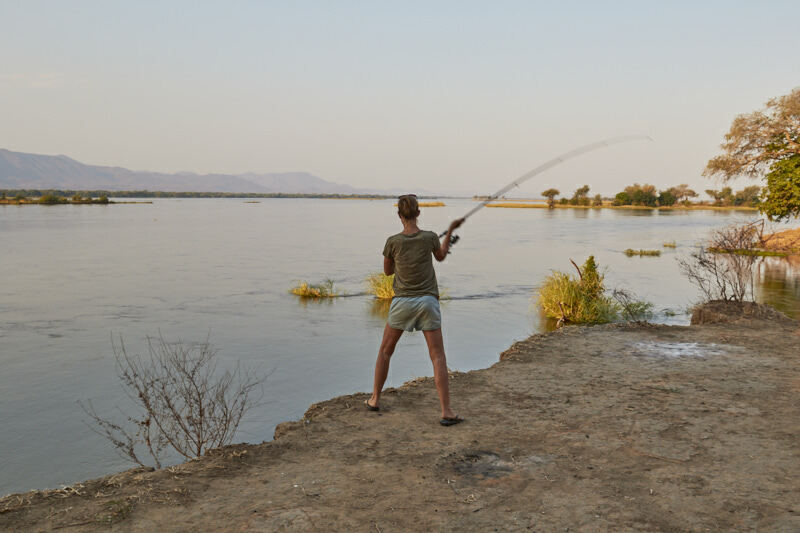 The Zambezi is the Northern boundary of the park and the different pools in the park provide just enough water for the animals in the dry season where we’re in right now. The 80 kilometer towards the main reception of the park was a nice test for our shocks. After surviving the heavily corrugated road we arrived at the Nyamepi Campsite. Small tip from our side: don’t book anything and just go here. 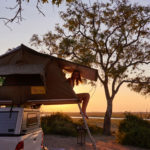 It’s way cheaper this way and you’re camping on the same amazing spot along the Zambezi as campers that have pre-booked. When we signed in we saw a name we knew. 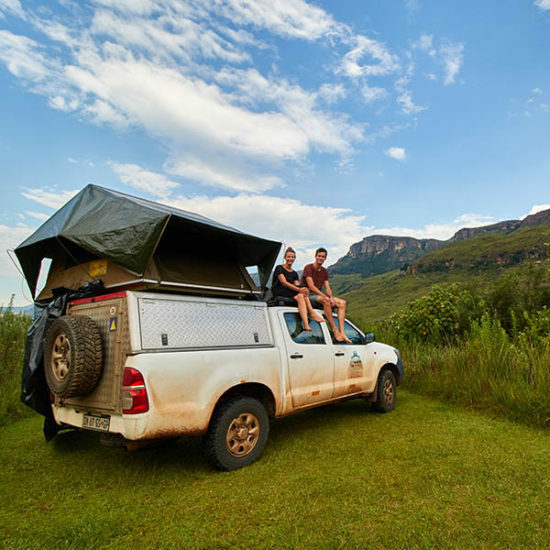 Martijn, the owner of Khaya, was camping here as well! How cool is that. It was through Khaya that we ended up in Africa in the first place some ten years ago. Seeing him again was a lot of fun. Wild Dogs? Get out your car! 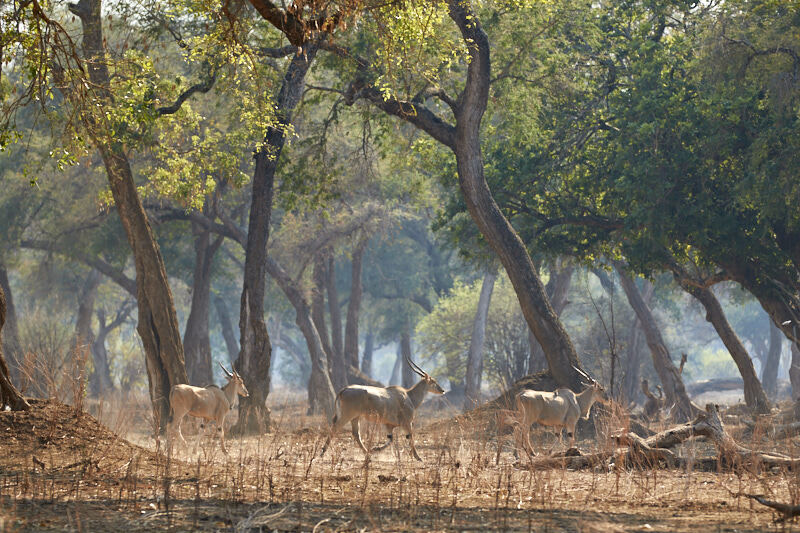 Not only is the scenery super pretty but the fact that you’re allowed to get out of your car when you see something is what makes Mana Pools even more unique. When we saw a bunch of cars parked along the road and saw some people walking away from their car we joined them. 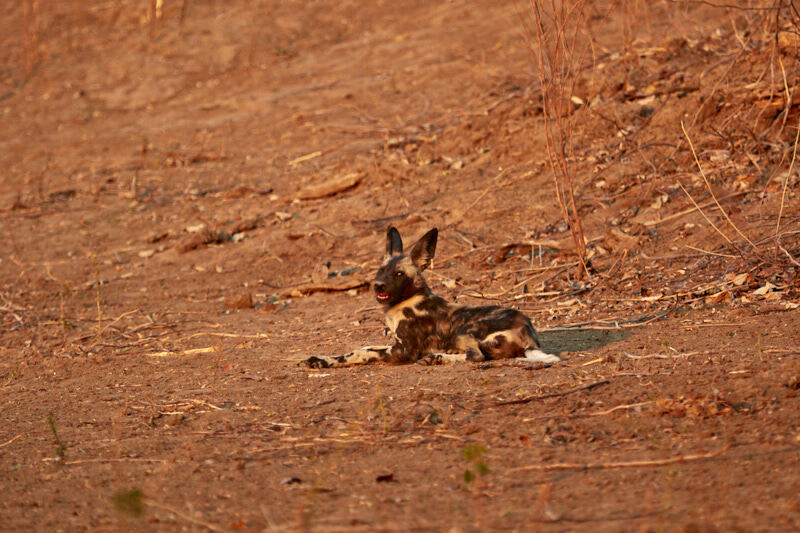 There were eight wild dogs relaxing in a dry river bed! All this while the sun was setting, unbelievable! We ended that day with two lovely steaks made by Martijn (compliments to the chef 😉 ) and a bottle of red wine. Really cool to met up again and exchange some stories and travel experiences. 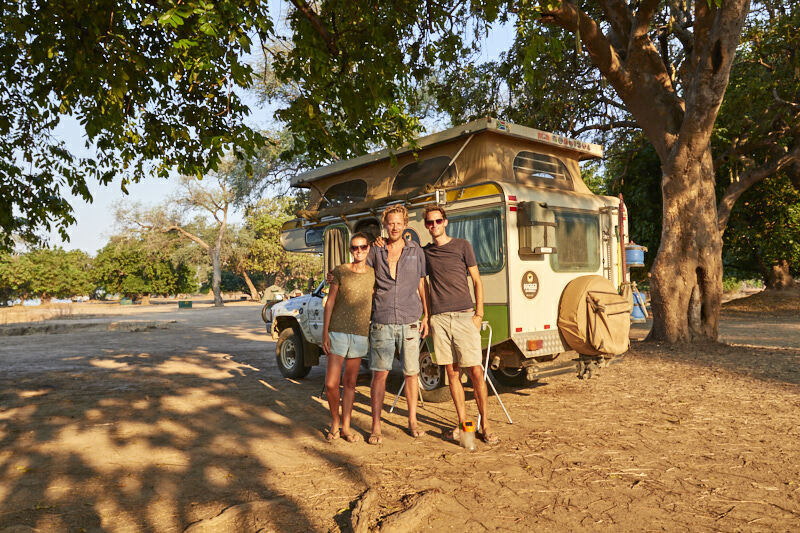 Martijn (@khaya.on.wheels) is travelling through Africa on the lookout for new projects and enjoying the amazing continent that Africa is. 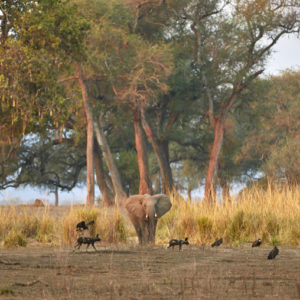 Early in the morning the next activity was planned: a morning walk with a ranger through the Mana Pools. With the three of us we followed our ranger Emanuel through the dry park. While we saw numerous elands, elephants, zebras, hippos and impalas the real highlight of that day came after walking with Emanuel. 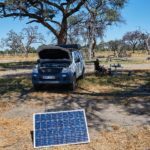 It was after we had a cup of coffee at the Zambezi when we saw an empty car along the road. After scouting the area we saw three persons at about 600 meter from their car. We took a bit of a gamble and walked towards a dry river bed. 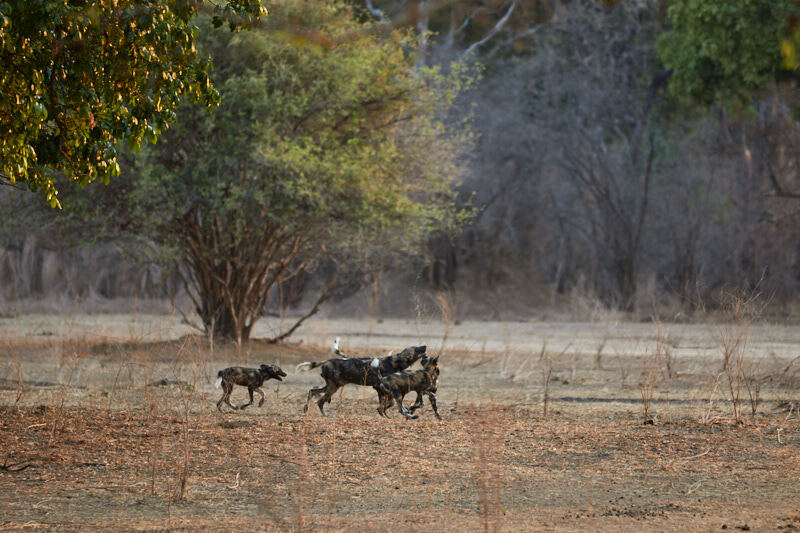 It turned out that the same pack of wild dogs were resting in the shade of a big tree. When we were alone with these wonderful creatures it was really exciting. 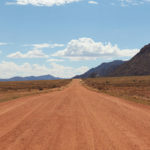 You’re at quite a distance from your car which could be a challenge if something is walking in between you and your car. It was such an amazing experience. The four puppies where playing while the adults tried to sleep as much as they could in the heath. Back at the campsite it was quite busy as well. 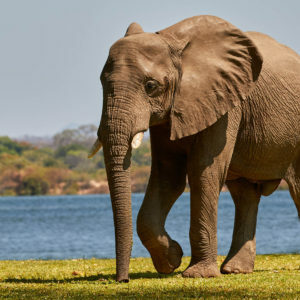 First there was an elephant that after a bit of swimming wanted to come out of the water right next to Martijn’s car. We merely chilled a bit, designed some graphics, read a book and selected some photos. In the afternoon Jolene tried to catch some fish (without any result unfortunately). We then made a nice fire, had some wine and enjoyed Martijn’s Ukulele performance. While we were still on the lookout for elephants on their hind legs we ‘didn’t see more than’ elephants stretching themselves to get to a branch. We enjoyed this a lot as well. We had more luck when it came to predators. 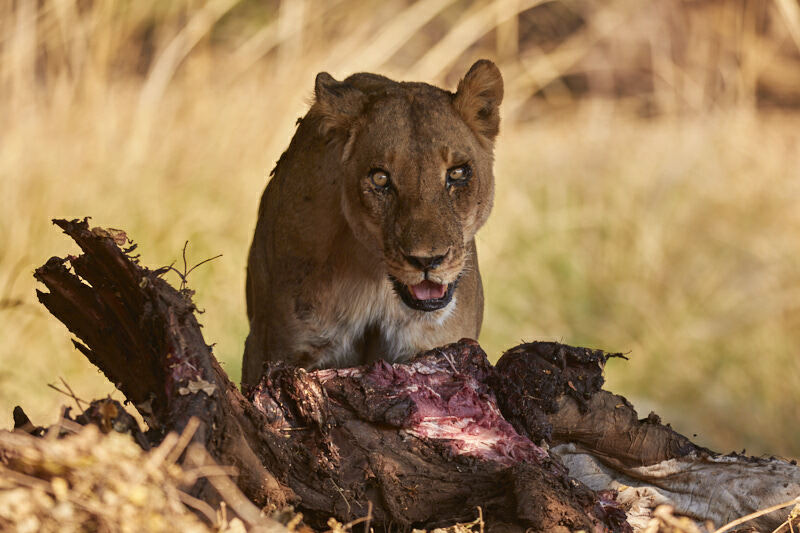 That day we saw two lionesses with a kill, an eland. They were busy eating the poor animal but it did result in some spectacular images. 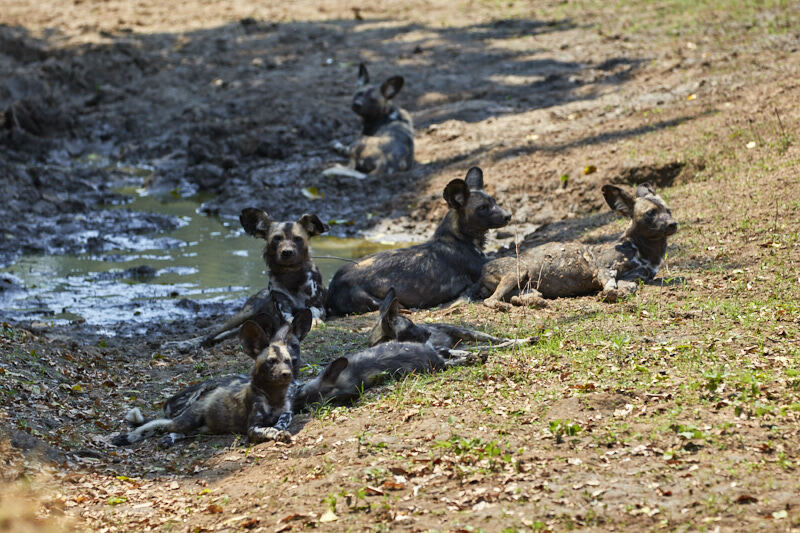 That afternoon and on our last morning in the park the next day we were rewarded with a new pack of wild dogs. Way more than the other pack and enjoying the sunrise on an open plain. It was amazing to sit down on the ground at only 30 meters from them. One small note if you’re planning to visit the Mana Pools anytime soon: don’t leave your flip-flops outside of your tent. On the first night we literally heard a hyena walking with our flip-flops and found them 15 meters from our tent. The second night they were hungry since both of our slippers were half gone :-)!